Forged 1480 U-Bolt style yokes are now here! 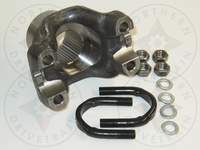 Northern Drivetrain is proud to announce our newest product - a forged 1480 slip yoke that fits 1-3/4x16 slip stubs. 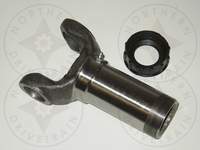 Have you had trouble twisting or breaking slip stubs in your 1480 driveshaft? We have had numerous customers that have had this problem, and now we finally have the solution! With this slip yoke, and a selection of stubs that fit 3.0x.095, 3.5x.095, and 4.0x.083 tubing, there is now a stronger option than the 1-9/16x16 spline options that were the only option before. We torture tested these yokes with select customers through the end of 2015, with excellent success. Driveshafts that had previously only lasted 2-3 events now lasted through the rest of the season. For full product details, follow this link to the product page for the NDT-3-3-5191KX. 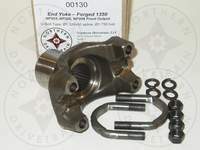 Now available - 1350 and 1410 yokes for the 30 spline GM NP203, NP205, and NP208 front output shafts! Northern Drivetrain is proud to announce our newest products for the GM NP203, NP205, and NP208 transfer cases. These 1350 and 1410 series, u-joint style forged yokes fit the 30 spline front output shaft used from the mid 70s and beyond. They provide the flexibility that our customers have been asking for to run a non-cv style driveshaft on these inexpensive and popular transfer cases. With a conversion joint, we can even use them to adapt to 1310 and 1330 series as well! Introducing U-bolt style 1350 and 1410 series yokes for the Dana 60 & 70 axles! Northern Drivetrain is proud to introduce our newest products for the Dana 60 & 70 market. 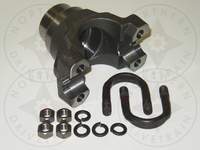 1350 and 1410 series, u-joint style forged yokes for the Dana 60 and Dana 70 axle. 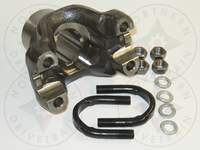 We have even built a 1350 series 10 spline yoke for those of you with well experienced dana 60 axles born before 1969! 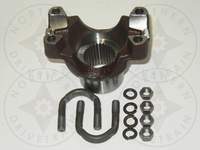 U-bolt style 1410 and 1480 series yokes for the GM Corporate 14 bolt, AAM 10.5 and 11.5 Axles now In Stock! Northern Drivetrain is pleased to announce the arrival of our 1410 Series and 1480 Series u-bolt style yokes that fit the the GM 14 Bolt and other applications of the AAM 10.5 and 11.5 axles. 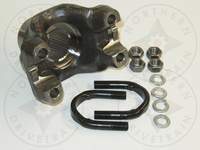 These yokes are made in the USA, and include the u-bolt kit. Please visit the product pages for the 1410 Series and 1480 Series yokes for more information. 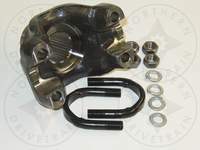 Forged u-bolt style yokes for the NP205, NP203, and Atlas transfer cases now In Stock! Northern Drivetrain is pleased to announce the arrival of our Forged 1350 Series and 1410 Series u-bolt style yokes that fit the NP205, NP203, and Atlas 32 spline output shaft applications. These yokes are made in the USA, include a Spicer u-bolt kit, and have the end chamfer required to fit 32 spline Atlas applications. Please visit the product pages for the 1350 Series and 1410 Series yokes for more information. 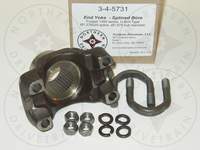 1310 Series Torqueflite 727 fixed yokes now in stock! 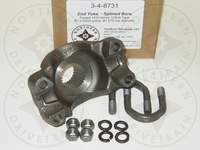 Have you been looking for the hard to find, discontinued Spicer 2-4-4441 or 2-4-4441-1 fixed yoke for the Torqueflite 727 transmission? Based on customer demand, we have produced a Made in the USA replacement for these hard to find yokes. 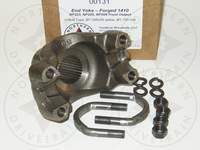 Check out the product page for our 2-4-4441 for more information. We stock many 1350 and 1410 series parts that other stores simply won't touch, and can deliver 1480 series joints, yokes, and other components for the ultimate in strength. Are you like we used to be, blowing up parts store brand u-joints seemingly every weekend? Then take a look at our wide selection of quality Spicer U-Joints. Do you build your own driveshafts? 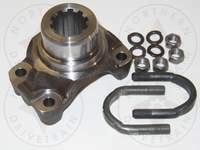 You can find all of the parts you need in our Driveshaft Components category. Have you looked, and still can't find what you are looking for? Please let us know! E-Mail support@northerndrivetrain.com. 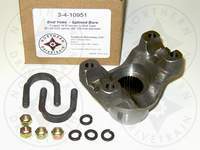 We are adding new parts all the time, and will be glad to help you get the parts you need.